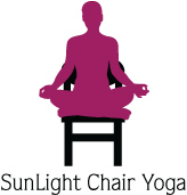 About Stacie - SunLight Chair Yoga: yoga for everyone! Stacie is known for bringing a wealth of knowledge to her classes. Born into a vegetarian family and taken to ashrams since birth, she is living the yogic lifestyle and sharing it's benefits with others. Currently she is teaching Chair Yoga for seniors and at companies in Bay Area, CA.